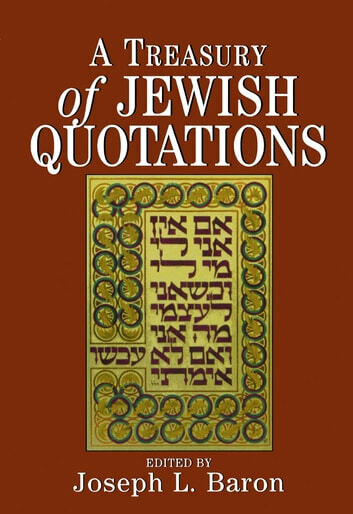 The quotations contained in this monumental volume consist of aphorisms, maxims, proverbs, and comments of Jewish authorship or on Jewish themes. Here is a rich treasury compiled from over 2,500 years of Jewish writings–from the Talmud, the Mishnah, the Zohar, and the Bible, through excerpts from Rashi, Maimonides, the Baal Shem Tov, as well as Spinoza, Disraeli, Herzl, Freud, Einstein, and many others. 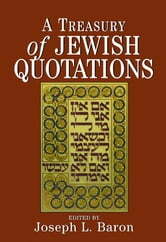 For more than forty years Dr. Joseph L. Baron, the eminent Jewish scholar, gathered material for this work, mining all the great treasuries of classic Jewish literature. The result is this magnificent volume, a classic in its own time. Classified according to subject, the quotations are indexed by topic and author. Full source references are given as well as bibliographic data. Marque éditoriale : Jason Aronson, Inc.